If you love simple and traditional, then embrace Earthlite's Everest Spa Single Pedestal Electric Lift Table from Massage Tools. 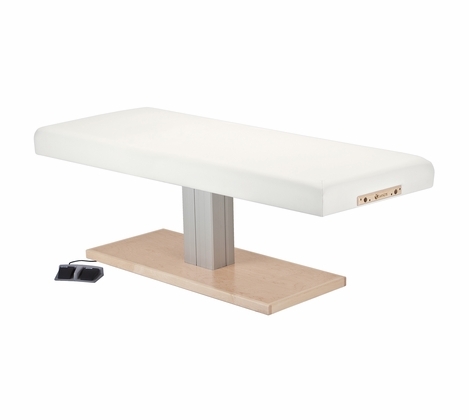 The stylish base and delightfully comfortable tabletop will complement any d�cor. It's a definite must have for day spas. Choose from 16 upholstery colors. 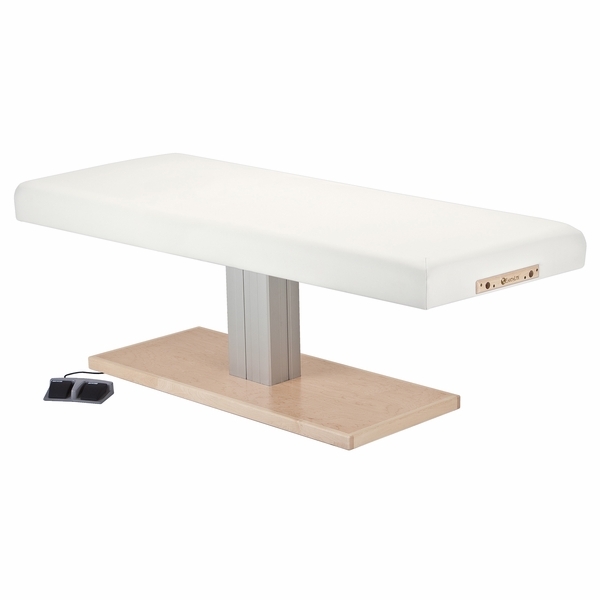 Practitioners will find that the Everest Spa Single Pedestal Electric Lift Table allows for complete client contact and also offers desirable leg and knee room. Its heavy duty steel frame gives maximum stability. Height adjustments are made simply with the foot pedal. The quiet motor won't disturb clients either. Let your clients indulge in the lap of luxury of the Everest. � Width Options: 28", 30", 32"